Many patients with early-stage prostate cancer now have access to shorter and more convenient courses of radiation treatment thanks in part to research at The Ottawa Hospital. The treatment, known as hypofractionated radiation therapy, delivers more powerful doses of radiation in fewer visits and without compromising quality of life. With the new approach, patients complete treatment in four to five weeks, compared with eight to nine weeks for conventional radiation. 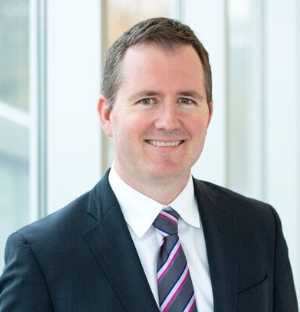 An international guideline panel co-chaired by Dr. Scott Morgan recently recommended the treatment, based on clinical trials involving over 6,000 patients (including many from The Ottawa Hospital). The recommendations are published in the Journal of Clinical Oncology, Journal of Urology, and Practical Radiation Oncology. “Hypofractionated radiation therapy represents a new standard of care for many patients with localized prostate cancer. Benefits include greater patient convenience and reduced cost.” said Dr. Scott Morgan, radiation oncologist at The Ottawa Hospital and assistant professor at the University of Ottawa. Acknowledgements: The guideline was developed by a panel of experts from the American Society for Radiation Oncology, the American Society of Clinical Oncology, and the American Urological Association. Research at The Ottawa Hospital is possible because of generous donations to The Ottawa Hospital Foundation.